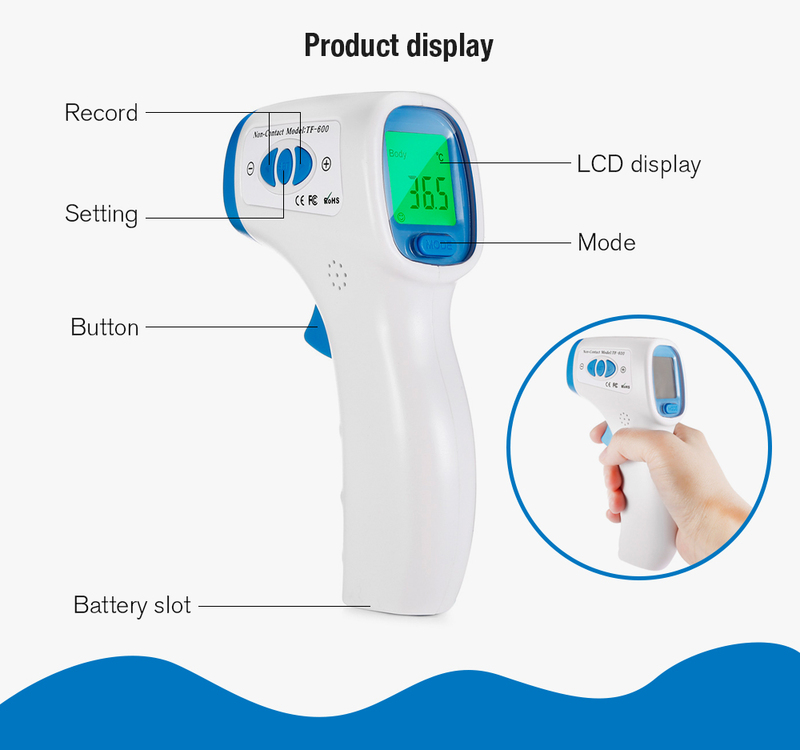 This product is a Professional Non-contact Infrared Thermometer to measure the temperature of body forehead and surface. 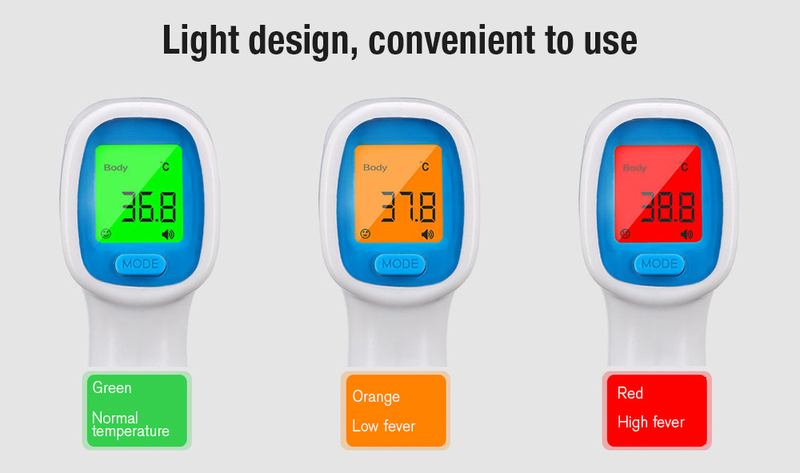 It can also be used to measure the temperature of baby bottles, rice cereal, bath water or the bathroom, the ambient temperature of the room ( using the surface mode ) and the display clock. 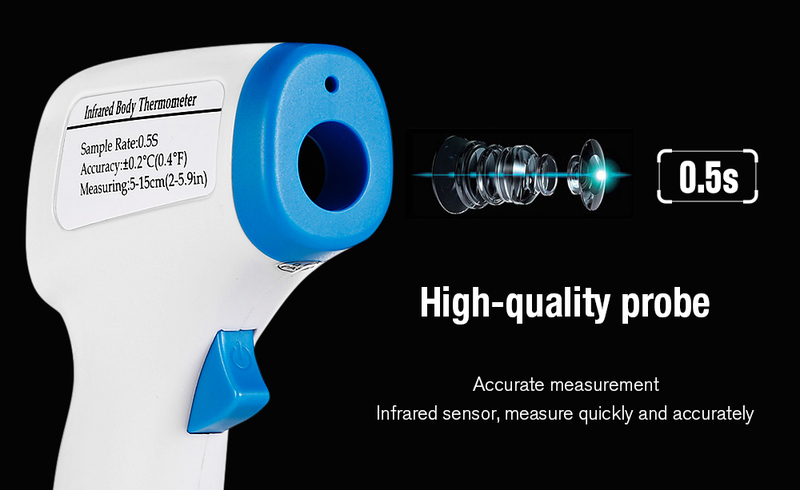 Using Advanced Infrared Temperature Measurement Technology, it can quickly measure the target temperature, and intelligent analysis and processing. 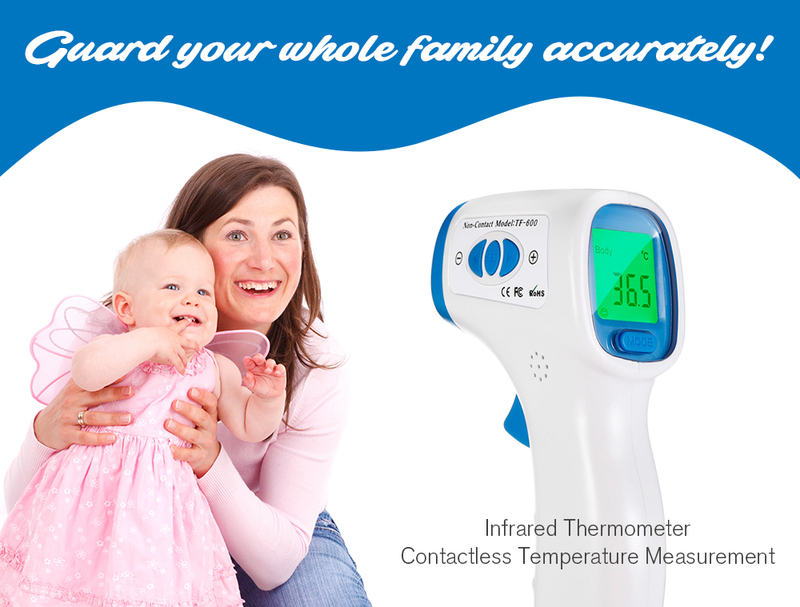 Only 0.5 Seconds to display the measurement results.